In an effort to foster understanding for structural designers, the ACEC-NC/NCDOT Bridge subcommittee has organized two plant tours to go along with the PCI Bridge Workshop. Tours will cover basics of precast, prestressed concrete manufacturing, plant operations, quality design details, lessons learned, cost-effective design and constructability. Attendance at each site is limited to 35 persons. Attendees will be required to bring Personal Protective Equipment (PPE) including hard hat, safety glasses, work boots, and reflective traffic vest/jackets. Attendees will also need to coordinate their own transportation to the plant sites. There is no fee to attend, however, registration is limited. 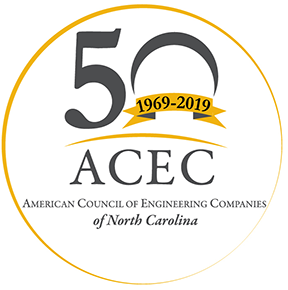 Registrations are due in the ACEC/NC Office by Monday, October 29. Please send a substitute if you register but are unable to attend.